Methicillin-resistant Staphylococcus aureus (MRSA) is a bacteria that is resistant to many antibiotics. 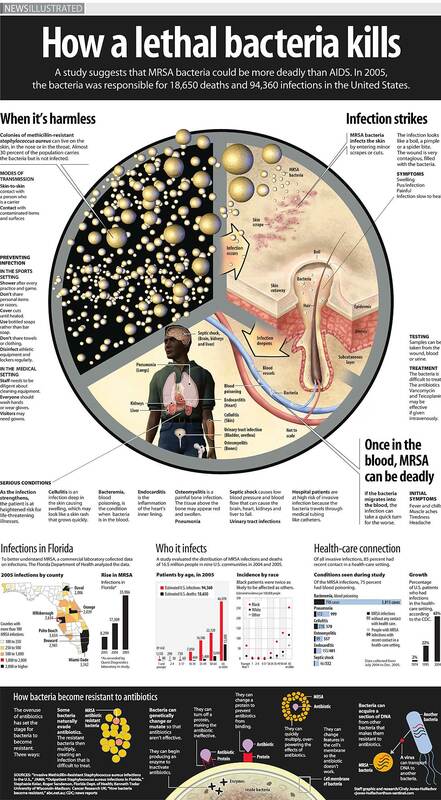 In the community, most MRSA infections are skin infections. In medical facilities, MRSA causes life-threatening bloodstream infections, pneumonia and surgical site infections. Previous story How do we smell?